There’s a new 3-D film coming to the Wortham Giant Screen Theatre on Friday, May 23: D-Day: Normandy 1944. Telling the story of the largest Allied operation of World War II through an incredible visual spectacle, this film brings a fresh perspective to the planning, perseverance and sacrifice that came together to bring victory to the Allied forces. This quote, however, was used out of context. In fact, it refers to the Battle of Britain rather than D-Day. Some of you wrote in to notify us, and we thank you for your keen eyes and diligence. 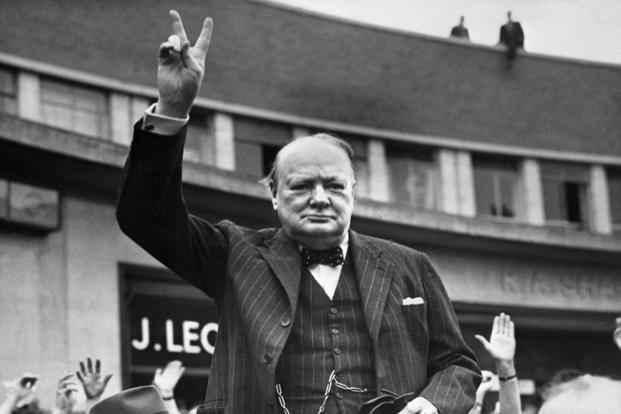 As I researched the quote to double (and triple) check the origins and meaning behind it, I realized what an incredible wordsmith Churchill had been. Quotes from his various speeches, orders and interviews remain some of the most recognizable and poignant references to WWII today. 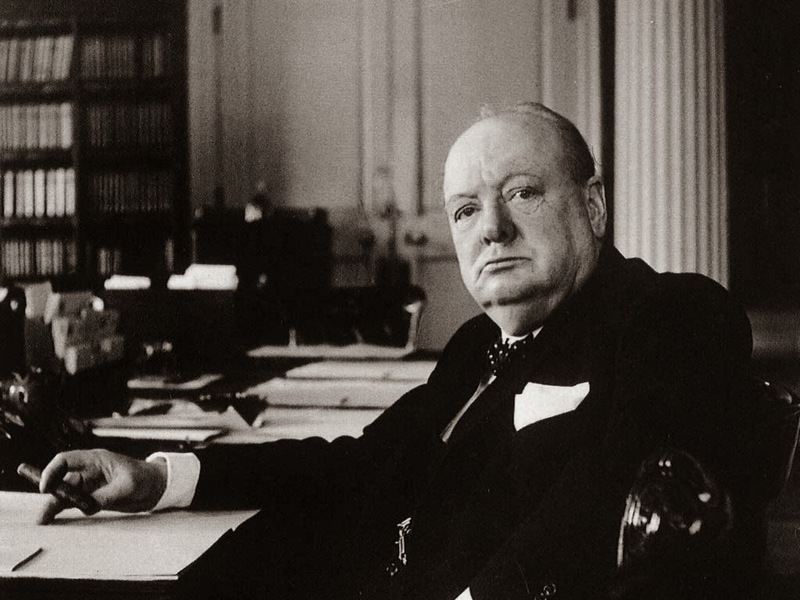 It then occurred to me that Churchill was a figure so deeply entrenched in the war and emblematic of the character of the United Kingdom that his personal quotes can serve quite well as a timeline for the war — not just indicating battles, but also the collective feelings, attitudes and spirit of the United Kingdom during the war. This quote is taken from Churchill’s first speech as Prime Minister, given on May 13, 1940. At this point, Germany had taken Poland and had invaded Belgium, France, Luxembourg and the Netherlands, whereupon Chamberlain resigned. This quote was made in reference to the Battle of Britain in August 1940 (the name “Battle of Britain” was also coined by Churchill in a speech to Parliament in 1940 after Germany took France). At this point in the war, the British Royal Air Force (RAF) was involved in fighting the German Air Force in the first major campaign fought entirely by air forces. Britain’s victory in the battle prevented the German “Operation Sea Lion,” which was planned to be an amphibious and airborne invasion of England. German forces, however, would continue bombing operations, known as the Blitz. Churchill made this statement during a speech given at Harrow School in Harrow, England on October 29, 1941. These remarks were given after Britain drove German troops out of Egypt — a sign that the tide of the war was turning in favor of the Allies. Churchill made this speech on June 6, 1944 as the Allied forces took hold in France on D-Day, opening the second front of the war. Churchill made these comments on the atom bomb in conversation with his doctor, Lord Moran, on July 23, 1945.